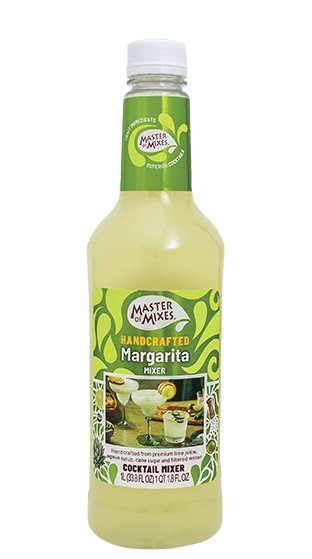 Tasting Note: For a naturally refreshing, authentic lime f lavour, use the expertly-blended Master of Mixes Margarita Mix. Juice: 10%, lime and lemon. Colour: Light green. Flavour: Refreshingly tart lime flavour profile and triple sec, with hints of lemon, grapefruit and other fresh fruits.